Hey, guys from a long time I didn’t post anything because of my College Exams now I come up with amazing tricks or you can call it WhatsApp news. Now WhatsApp has released their official WhatsApp application for Desktop. Now friends you can run official WhatsApp on your laptop or computer. The best thing about this app it is available in Windows version also in MAC version . So users can run this official application on their laptop with Mac operating system too. This is similar to the web client server. I hope previously you know about web client server. 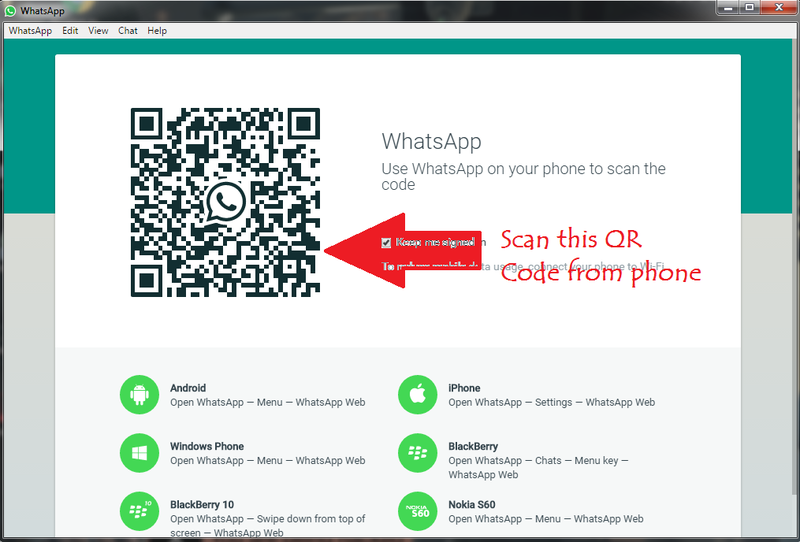 On a web client WhatsApp u just need to open WhatsApp web website after this you have just to do scan code it’s really easy process. Open WhatsApp web official site in any browser now must have an Android phone or iPhone with installed WhatsApp on it. In phone just you need to open WhatsApp application and click on left side menu icon. When you click on menu icon you can able to see WhatsApp web option in them just press on it scan PC QR code from your phone now you did it. 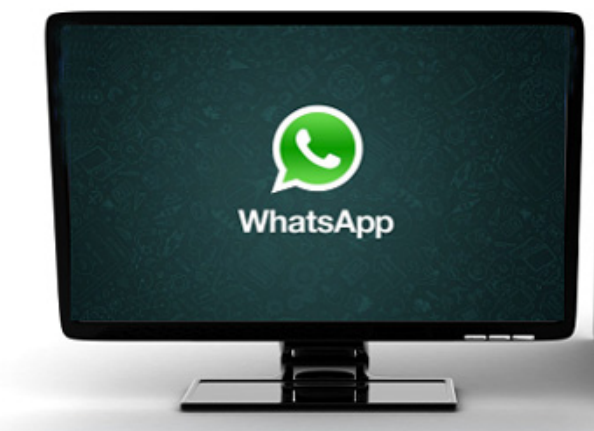 Now the result you can access your WhatsApp Chat calls over desktop without any problem. Now WhatsApp has released official WhatsApp application for desktop users I got this information from my favorite blog AndroidPit so how it works and how we get let’s go. 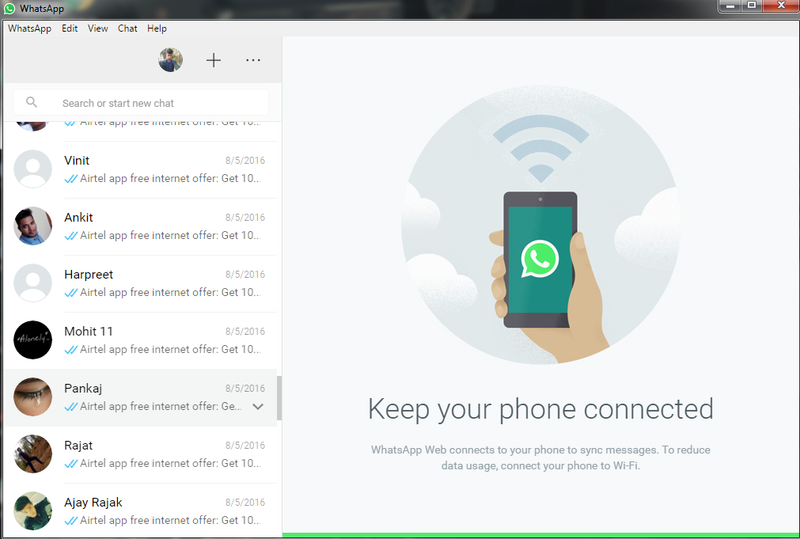 The official Desktop application of WhatsApp is quite similar to the web version of WhatsApp. How to use this and how to get this application so friends this application of desktop version is available only on WhatsApp official website the WhatsApp desktop application size is just 66MB so it large for desktops but it makes our chat easy over desktop the main benefit of this application is that we can send PDF documents from our laptops or PC you can share images songs videos from laptop.